The other day I was making my way through the drive-through at Wendy’s (as you know, I have quite the affinity for Wendy’s cheap menu items) – and decided to use the remaining balance on a Discover gift card balance. I proceeded to hand over the card to the cashier and after he swiped it, said the card doesn’t work for just part of the balance. Meaning, I have to use the card for the exact amount that is left on the card or just whittle it down with small payments. Needless to say, I’ve had this problem before and I don’t know what the deal is with these cards. So, I did a little research. There is a good story on Wisebread that talks about this very issue – how to use remaining small balances on pre-paid gift cards. One of the things they mention doing is buying an Amazon gift card with it (you can buy anything over $5 – in any increment) and send it to yourself. Then you can turn around and deposit it into your Amazon gift card balance online. That is, if you like shopping Amazon. If you don’t, then this is not such a great deal. But what about using it to cover part of your balance at a store or online retailer? For that I had to do some more digging. Apparently there is this term for using two methods of payment for one transaction: split-tender (and this is no side of beef). It turns out many online retailers are not good about doing these yet – so your ability to get rid of your balance through the web stores is limited. However, I have done this before at places like Target, WalMart – but these were with gift cards – not pre-paid cash gift cards. Most of these cards are supposed to be processed as credit cards, so perhaps this is a reason why many places will not accept them – or have problems with applying two methods of “credit” to a transaction. So, back to my first point about cashing these in for gift cards? 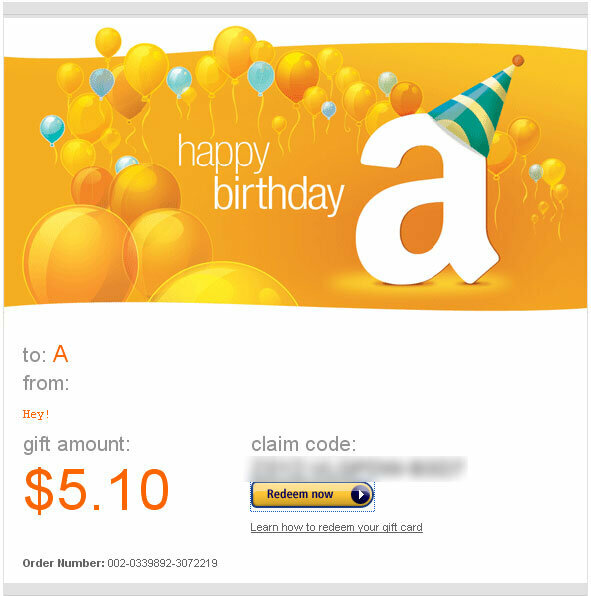 I did try this out at Amazon with my remaining Discover balance – and sent myself an early (very early) birthday present. And, it worked. I was able to get rid of that remaining balance and now I have it applied to my Amazon account. Whew. I hope this helps if you are in a similar predicament with your remaining balances on your cash gift cards. Amazon has been innovating in the field of e-commerce, that is why it is still number one in the field, and in country like India to it has great network and is constantly growing. I’m so glad you decided to share this tip. I have a pre-paid cash card that has a couple dollars left on it. It’s been sitting in my wallet for MONTHS! Now I know what I can do with it. Thanks for sharing this tip. Thanks for the tip Sheila. I used to work at Panera Bread and the problem that we had is not using the card but knowing EXACTLY how much you’ve got left. All the cashier (I can’t speak for on-line stuff) needs to know is that it’s a gift card and there is “blank” dollars and “blank” cents on the card. They enter the amount to charge, swipe the card and then you pay the remaining balance. It’s really not that difficult of a situation to manage but there are a lot of poorly trained cashiers out there. I know it does’t look like that difficult of a job and it’s not but there is a lot to manage and know about weird cards like those. I’m glad you found a solution (and who doesn’t like Amazon, it’s my favorite time killer), next time, try my thing first and let me know if it does’t work (I’m curious if it’s all places/cashiers or just at Panera)! Ah – that’s really helpful to know. And, straight from someone with experience! Thanks Deanna. I was able to do this with a pre-paid Visa at my Target store. The Amazon card is a good idea; I’ve been thinking about doing the same thing with a restaurant card. I wish it were possible to cash these things out through Paypal, though! Now there’s an idea for PayPal! I haven’t had a pre-paid gift card for awhile until I got one this Christmas and I was surprised at how difficult it was to use! I had several problems trying to make purchases online and then I was wondering how I would deal with it when I had just a few dollars left on it. I like the Amazon idea, I will give that a try! I hear you! I don’t get it – I sometimes feel it is on purpose, so they can get the remaining whatever balance that is on the card after folks give up from failing to get em to work.